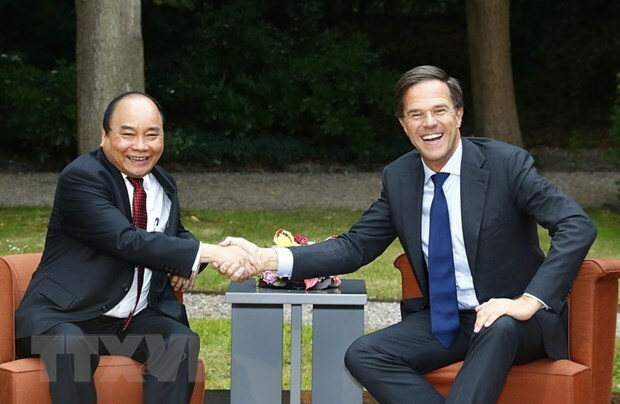 Hanoi (VNA) – Prime Minister Mark Rutte of the Netherlands will pay an official visit to Vietnam on April 9. The visit will be made at the invitation of Prime Minister Nguyen Xuan Phuc, the Foreign Ministry said in an announcement on April 4. The Netherlands is an important partner of Vietnam in Europe, and Vietnam always attaches importance to its friendly relations and effective multifaceted cooperation with the Netherlands, Prime Minister Nguyen Xuan Phuc has affirmed at a reception for newly-accredited Dutch Ambassador to Vietnam Elsbeth Akkerman in Hanoi on March last month. Trade and investment cooperation between Vietnam and the Netherlands have been growing steadily, with the latter currently Vietnam’s largest export market in the EU. As of the end of 2017, the trade values between the two nations exceeded 7.77 billion USD.